Do tenants want swimming pools? All things being equal, tenants prefer an air conditioned house to one that has a pool. Especially if they are to be responsible for any part of the pool maintenance. Unlike a pool, air conditioning can provide year round benefits, and the upkeep is far less onerous – if at all. Even in areas with warmer climates, air conditioning is a far more sought after feature than swimming pools. ALL pool maintenance is part of the rent – meaning regular visits by a ‘pool man’ with the tenant not required to pay for any chemicals, do any checking and any cleaning. The rental property is an apartment in a building with a pool. 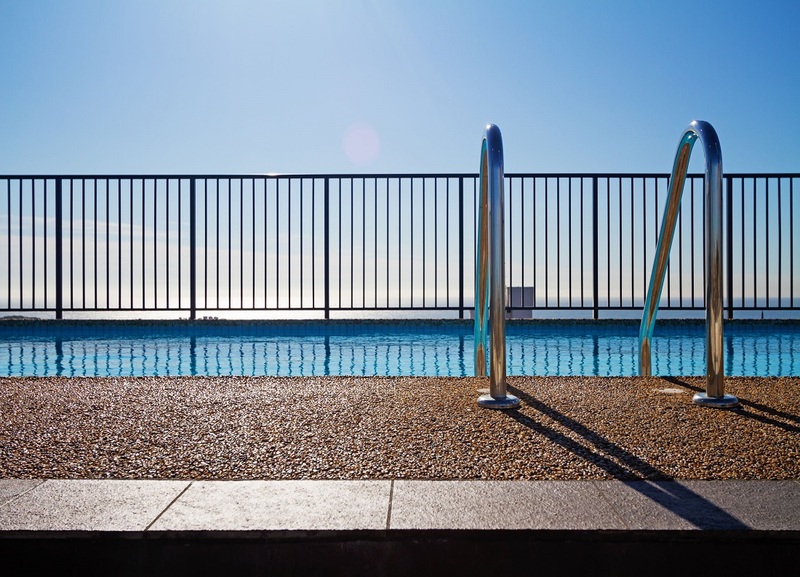 If a tenant has a choice between a unit in a building with a pool and one without, with rent being equal, they’ll probably opt for the unit with access to a pool. Can I charge more rent for a pool? In theory yes, particularly if full pool maintenance is added as part of the lease. However some rental markets are so competitive at the moment, you might find that this financial gain is lost. This is definitely the case for many new high density complexes coming onto the market in places such as Brisbane. Will the higher rent cover maintenance costs? This depends on the age and the quality of the pool, and on the assumption that unexpected repairs don’t popup. Torrential down pours of rain play havoc with pools requiring specialist attention. Storms can also dump a lot of debris. Just as we’re experiencing hotter summers, we’re also experiencing more violent weather events making damage to pools more likely. If the pool is affected the financial cost can be significant. Of course, all expenses for the ongoing maintenance and repairs can be a deduction. Despite this, the general advice is that pools do not improve the bottom line and will not provide any real and lasting cash flow benefits. Will a pool add resale value? Not likely – especially in an investment property. Pools are unlikely to add more value than the build cost either. In fact, you’re probably going to exclude many potential investor buyers who will run a mile from a property with a pool. However, good advice from a local sales agent can help with this question as the answer varies from market to market. The safety risk of pools. My biggest concern with swimming pools in investment properties is the landlord’s exposure to risk. There is a whole level of extra compliance issues related to pool fencing and safety. Even if you have this well and truly in hand, the public liability risk remains huge. You’d think it is a simple matter of the landlord providing the compliant fencing and safety items and the tenant ensuring they’re enacted. But it is not going to be the case. If the worst happens and an injury or drowning occurs in the pool you will be dragged into the process. Even if it is to prove that you met your obligations. Remember you can be sued even though you’ve done nothing wrong, especially in this era of ‘no win no fee’ litigation. This will cost you money to defend and will be very stressful. What’s my advice on swimming pools in rental properties? Don’t buy an investment property with a pool – unless it is in an apartment building with managers in place who are responsible for the upkeep. Find this out before you buy. Don’t install a pool in an investment property. If a pool is in place, engage a pool service company to do all the upkeep and increase the rent accordingly. You’re better off investing in good air conditioning for your rental.